The Nike Air Humara &apos;17 QS Men&apos;s Shoe brings back the vintage look of the original trail shoe. 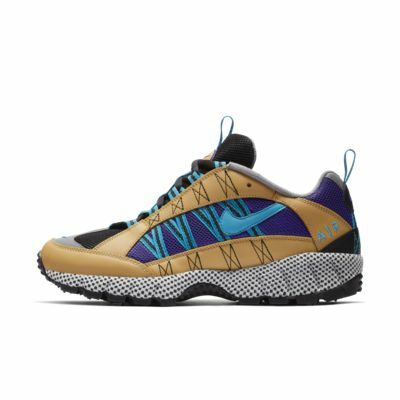 Encapsulated Air and Zoom Air cushioning softens your step, durable overlays add support, and a rugged outsole pattern brings trail-level traction to the streets. Had to return these because the colors in the photo were so wildly inaccurate. The photo colors look more like the classic OG nineties era Humaras — which were soooo fly. (It was admittedly a heavy shoe, but very comfortable and durable across a wide variety of terrain. Perfect travel shoe.) The neon color updates and new cheaper (lightweight) materials are a bummer.